This is tutorial about how to crochet mini socks. 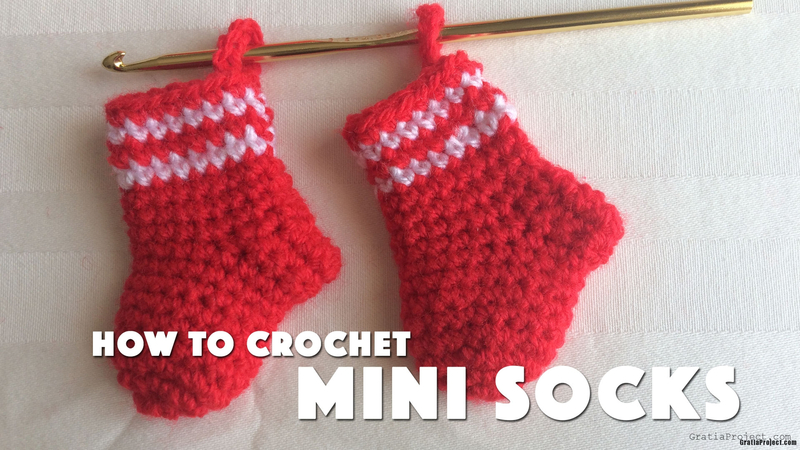 Learn how to crochet mini socks. This will be unique gift for your loved one. In this tutorial, I used Stylecraft Special DK yarn (color: Red/Matador), and Clover Crochet Hook G/4.0 mm. Join with sl st to the first sc. Continue ch 8. Join with sl st.
Use the tail to sew the hole.